Risepanel helps you open positions, close positions and analyze currencies. It works any time frame. For calculations to be correct, your account currency must be USD, EUR or GBP. 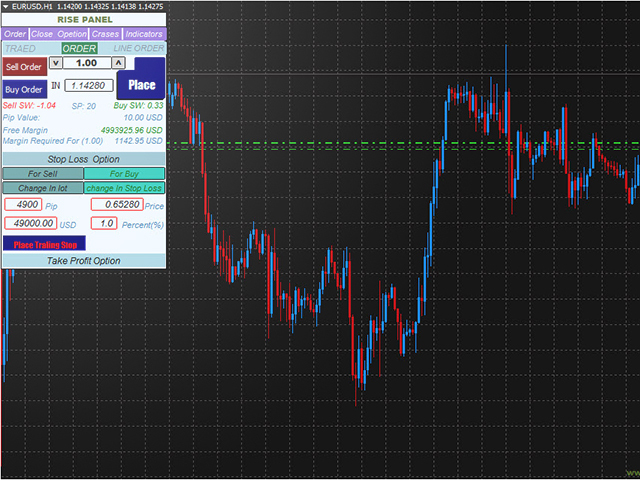 Orders and Pending Orders (Stop & Limit). 8 kinds of Pending by trend line. Specifications and Margin Calculation Required by Buy or Sell. 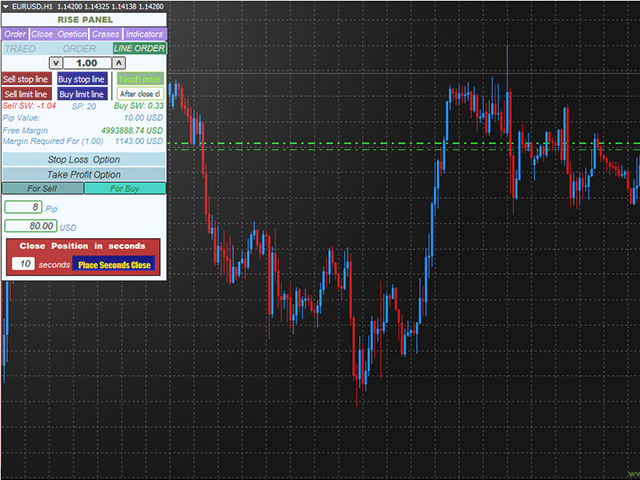 Calculate and determine Stop Loss by pip, currency pair price, monetary value and percentage of risk. 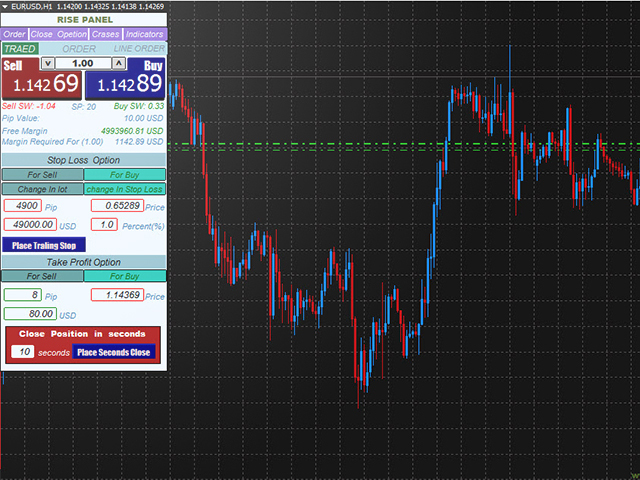 Calculate and determine the take profit by pip, the price of the currency pair, monetary value. Calculate the percentage of risk and determine the volume of the transaction. 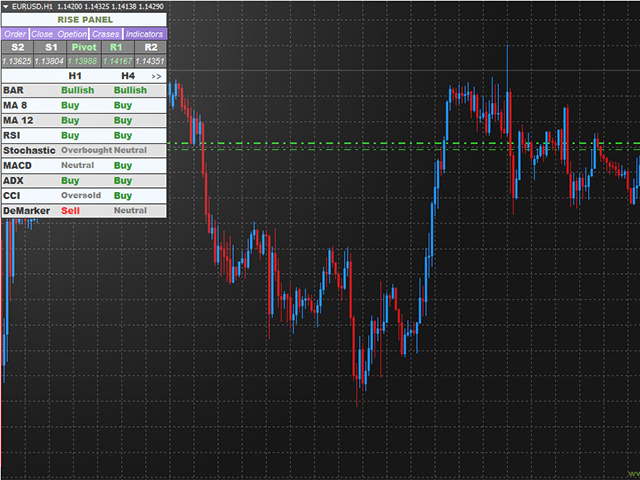 Fast closing of Sell Buy, Positions in Profit, Positions in Loss, All Positions (In Currency Pairs or Account). 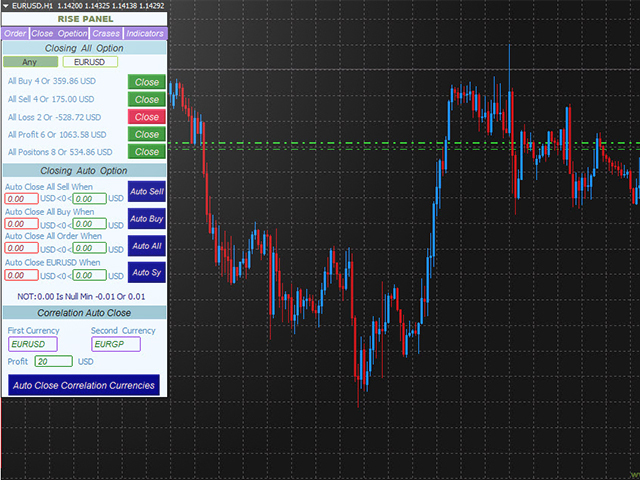 Close positions automatically (all positions of the account, all buy position, all sell position, all the pair currencies positions). 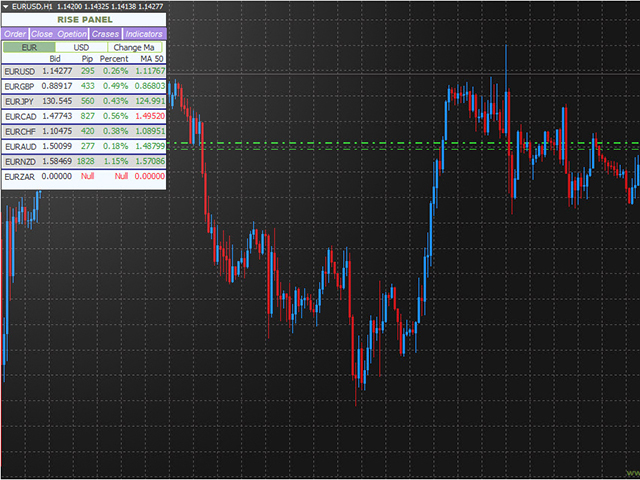 Close positions by correlation method. Displaying and comparing the amount of currencies in relation to other currencies. 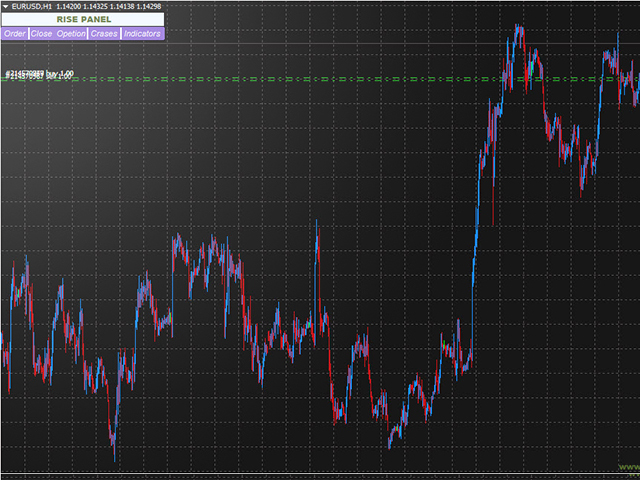 Show Signals, BAR, Moving AV 8 & 12, RSI, Stochastic, MCDE, ADX, CCI, DeMarker. No need to adjust the parameters at start expert. All parameters are customizable when the expert is active.